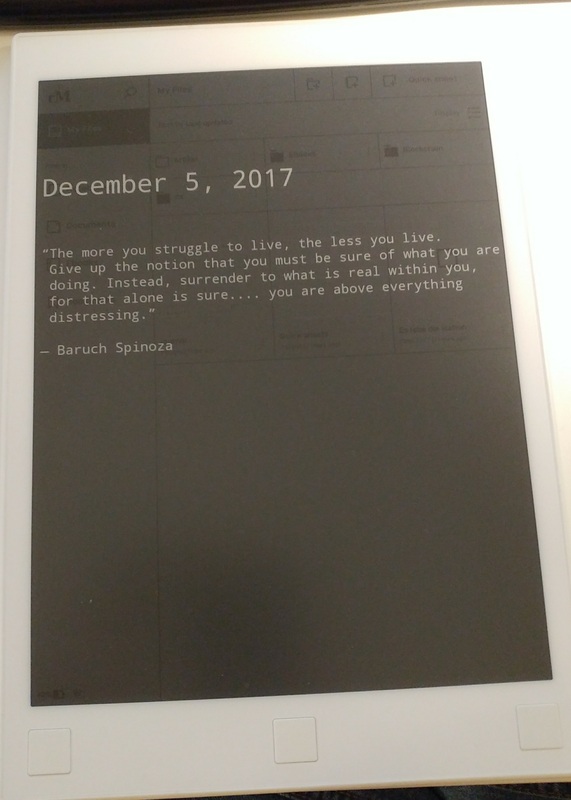 I made a small script generating transparent PNGs with the date and a random quote of the great Baruch Spinoza. Another script on the rM controlled by a systemd timer gets a new suspended.png every hour if the rM is online. Just put the following scripts on the rM via ssh and start the timer! Now you have to enable the timer. You could also start it right away if you want. The easy steps above should result in this..
Next Post Turn rMs “suspended screen” in something useful!